Carlos Alvarado has more than 15 years of experience in the areas of construction and facilities. As Building Engineer, Mr. Alvarado is responsible for repairs and maintenance as well as ensuring that all building systems are functioning properly on a daily basis. He also oversees multiple contractors and other building vendors. Carlos previously held positions in general construction and is skilled in several areas of construction. Most recently, Mr. Alvarado served as an Assistant Superintendent at WG Construction, a commercial contractor specializing in office and industrial construction. 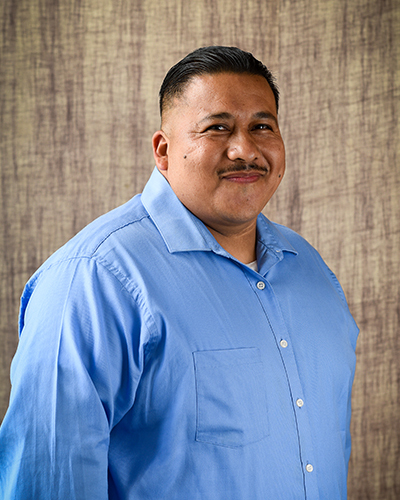 Mr. Alvarado served as an Inventory Control Supervisor at Legacy Transportation Services. He also held the position of Project Supervisor at Ultimate Kitchen & Bath in San Jose. Carlos takes great pride in his work and his knowledge of commercial building systems and processes.